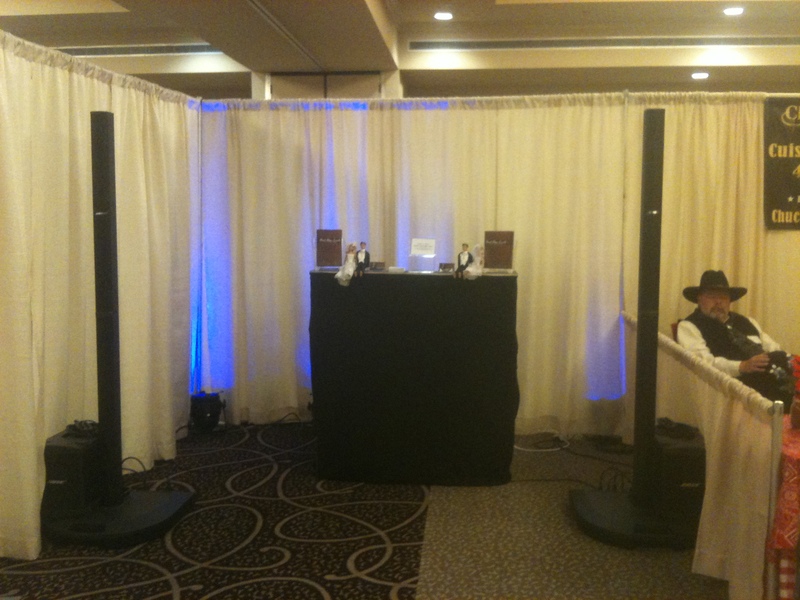 At this show I decided to keep the booth very simple and bring out the newest tool in the audio line up for your wedding ceremony and reception. That tool would be the Bose L1 sound system. If you have never heard the Bose system perform then just think of it as a typical Bose speaker on steroids! And, if you have never heard a Bose speaker then it’s like sitting on stage with the orchestra. now, my both banner didn’t ship in time for the show so the booth is a little more simple than I wanted but hey, that’s life. Anyway, here is a photo of the booth and system. I met with a bunch of brides and had a great time and got to network with some great vendors like my neighbors Chuck Wagon Cuisine Catering Company. What a great show. This entry was posted on February 28, 2010 at 11:11 pm and is filed under DJ/MC Industry, Other Events. You can follow any responses to this entry through the RSS 2.0 feed. You can leave a response, or trackback from your own site.